Especially in white. 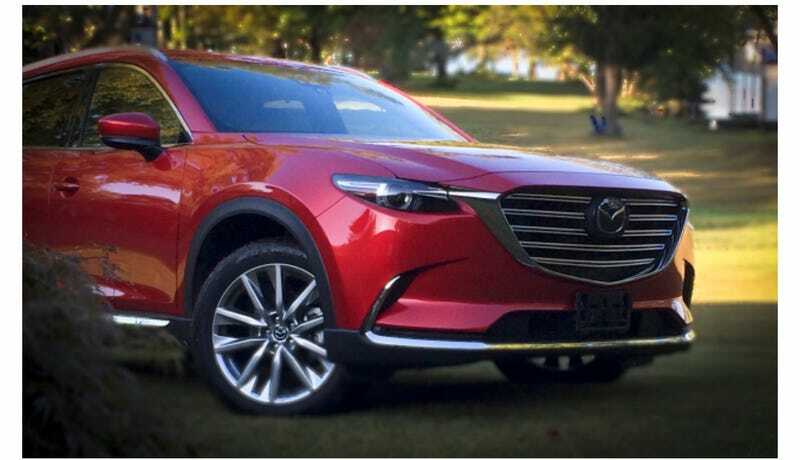 In a city where every other vehicle is a Bentayga, F-Pace, Cayenne, Macan, M, Q, or AMG SUV the cx-9 is what catches my eye. It’s absolutely striking, a fantastic stylistic standout for the often boring to a fault midsize SUV lineup. Mazda has been pretty universally applauded for their design the last few years, and they certainly deserve it. Unfortunately this is one of those “looks decent in photographs, phenomenal in person” cars. So, keep your eyes open! And pray for hotter versions of the Mazda lineup in the future, or at least some good aftermarket support!